Today, at the City Council of Benalmadena Cultural Counselor Elena Galán and the Association "Lucky Quilters International" participated in the act of transferring the check to the Charity Fund of the Cudeca Hospice for a sum of money collected by the Association during the 1st International Art Quilt and Patchwork Exhibition in Benalmadena, Castle Bill-Bill in September, 2017. The President of the Association Oksana Mader delivered the check to the Head of the Communication Department of the Kudeka Foundation Angel Krebbers. 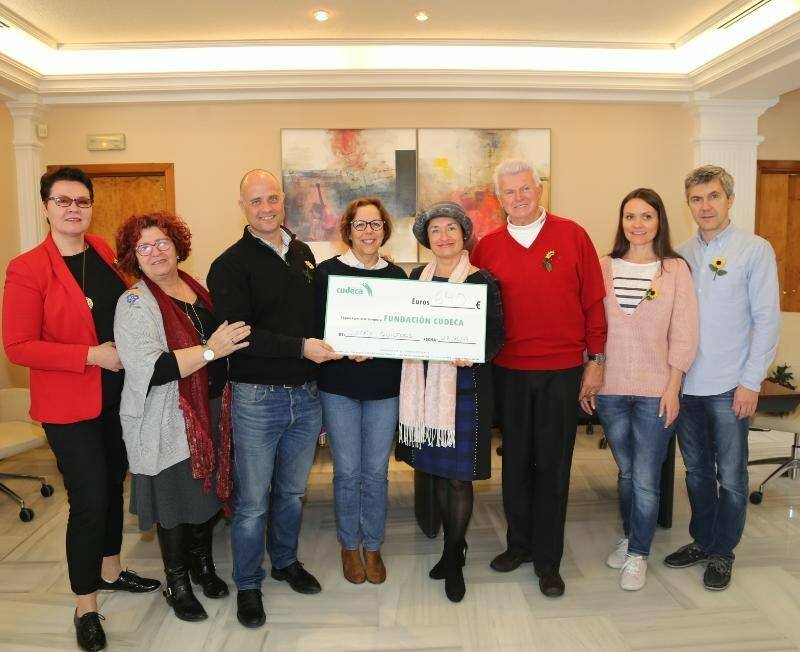 Cultural Counselor Elena Galan thanked the Association "Lucky Quilters International" for supporting hospice Cudeca, who carries out important work on palliative care. Cortez also thanked the Association of Art Quilt and Patchwork, promoting the exhibition, for the efforts and invited residents and visitors of the city to get acquainted with this form of art. 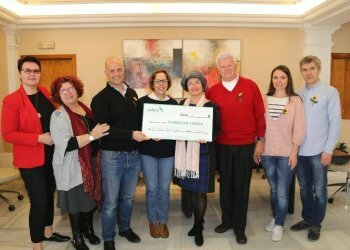 "We want to thank the generosity of the people of Benalmadena who always trusted and supported us," - said the President of the Association Oksana Mader and emphasized the support of the following local businesses and associations: the Azahar curtain shop, CH & CH, the David Furniture Shop and theAssociation Sahasana- yoga. "We are a very young Association, but in this short time we demonstrated our adherence to the Cudeca Foundation in addition to our active character with the organization of the International Exhibition of Art-Quilt and Patchwork. This is the second support we provide to the Foundation Cudeca, collecting almost two thousand euros "- said the president of the association Lucky Quilters International. Oksana Mader emphasized the unique character and great artistic value of works presented at the first exhibition by teachers and artists, such as, for example, the Ukrainian artist Lyudmila Eremenko, or the Moscow teacher and partner of Lucky Quilters, Irina Cecchini. "We have many more ideas for Benalmadena, and we are pleased to work with the City Council to implement them," said Lucky Quilters president Oksana Mader. For his part, the representative of the Foundation Cudeca thanked the Association for their unselfish support. "This is a fantastic economic contribution that will help us continue our work to support patients and relatives: every year we help more than 1,300 people for free," he recalled.